Thanks for taking the time to write us an article! There are a couple of grammar and sentence errors I've spotted that I will point out in more detail a little later. As for the pictures - Do you have a photobucket account? That is by far the best way to post them up, if not you can send them to my email address (see profile) and I'll upload them to mine for you. Ok, Great. I have sent the pictures and their location to your email. Once you post it on the site it might be better calling it a history article. Nice article! Waiting for some nice screenshots you have taken! Alrighty, had time to read it over and take it all in. There are some things that stuck out that I'd like to see fixed before we make the move to get it uploaded to our main website. Please don't take offense to the critisicm it's merely because we want to establish a high standard of historical and gameplay articles. In 1187, Yoritomo Minamoto appointed his son, Tadahisa as military governor of southern Kyushu. Tadahisa renamed it Shimazu. Tadahisa renamed southern Kyushu to Shimazu? Shimazu Sadahisa and remained fractured into the Sengoku Period. It was through the campaigns of the Shimazu Daimyos during the Sengoku period that the Shimazu would be reunited. The Shimazu remained a powerful house until the end of the Edo Period. The domestic economy was very strong because the Shimazu were able to yield large quantities of a special type of rice that could only grow in their climate which everyone demanded. The Shimazu openly welcomed the Europeans and frequently traded with them. The wording here doesn’t quite work, too much like an entry in wikipedia. Firstly I’d describe it as “The Clan’s Economy” because “their province” was able to produce large quantities of a special, but very popular rice. The Shimazu openly welcomed the Europeans and frequently traded with them. They also began production of their own firearms that they sold to other Japanese nations. Through this extensive trade, the Shimazu were able to build a strong economy that could support their armies and campaigns. Here you could do with linking the two – if I didn’t know what you were talking about I’d have no idea how the arrival of the European traders is related to the Shimazu producing their own guns.
. The Shimazu clan was renowned for the loyalty of its retainers and officers. I’m pretty sure they weren’t known for their loyalty, as in history this is something that wouldn’t be measured… it implies all others were unloyal. You’re getting mixed up with in-game bonuses that CA drums up or exaggerates. Once the Shimazu came into European contact, they realized the massive advantages they could gain by using foreign technology and tactics. The Shimazu became famous for being the first to use firearms in battle. This is repeated a little later so might not be needed here as well. I’m curious about this part, where did you get it from. I’m not sure if you’re describing in-game tactics or a real battle. Shimazu Takahisa. Remember Japanese given names appear after their family name. This doesn’t really make sense, Shogun 2 isn’t focused on the Shimazu nor any one particular leader. I think you mean most of the game takes place during his reign as Clan Daimyo. The realm, maybe. Nation doesn’t fit. Takahisa supported foreign relationships and actively trade with them. Some grammar errors in this sentence. I think you mean Ryukyu. But weren’t these a string of smaller islands and not a kingdom? Overall Ninj it’s good. But it reads too much like a bunch of facts copied from Wikipedia or a bullet point list, lots of separate sentences which aren’t really linked from one to the next. If we fix the issues I mentioned above up I think we can safely call it a Shimazu Clan Brief Overview. I'm still not sure if a Clan can be renowned for their loyalty, and would be interested to see where you got this information from. It doesn't make contextual sense - how can we say they were more 'loyal' than the Uesugi, Takeda, Oda, Tokugawa, Kitabatake, Date, Ashikaga etc? Through their loyalty, soldiers would hardly ever rout or betray their officers often winning the battle. We can't really say this either, as there is no evidence to support it. Not to mention 'loyalty' would not effect battlefield morale. The tactics are historical and not based off of my own strategy. Use the first source. I know wikipedia isn`t that reliable but it`s the only main source I had readily available. You're right, it makes more sense how it is worded now. Rhukyu was a string of islands but combined it made a kingdom with special trade items. I'll concede this one, but it's Ryukyu. The Shimazu military had two very important qualities; they were adapting and loyal. Oh, my bad about the picture. Can you just find a new one? By loyal, I mean there were never any coups. Generals were determined to fight for the house. Many other houses had ambitious generals who tried to stage coups. As for some battle examples, take the battle of Kizakibaru. They tried using it at the battle of Sekigahara but failed. 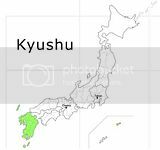 Sorry about the typo about Ryukyu. Do you have a source for this? If so you should add it in the article, especially as this is one of those subjects that is hard to back-up in a objective manner. Good sources are generally the best way to do so. And if you can find them, the details of the books you've used are a very useful addition as they a) help back-up your story and b) provide a hint for further reading to interested readers. The wikipedia page for the Shimazu clan says so. Before you get on my case for using wikipedia, let me just say that it is the only source I could find that could provide a lot of information. I went through all the daimyos and none of them had any attempted coups so I am assuming there have been none, although there could have minor ones not involving the daimyos. Noted, it does. But I could go ahead and name other Clans which never suffered a Coup, are they also known for their loyalty? Through their loyalty, soldiers would hardly ever route or betray their officers often winning the battle. It's just we can't upload as a historical overview with assumptions and blatant speculation made like that, it gives the impression that such was commonplace amongst other clans and battles, which it was not. I removed the part just to go ahead. I see your point. I don't have that strong evidence backing it up. It's like saying the Americans today are known for being rich. Did you add the extra screeshot Hussar? Foolish cavalry.